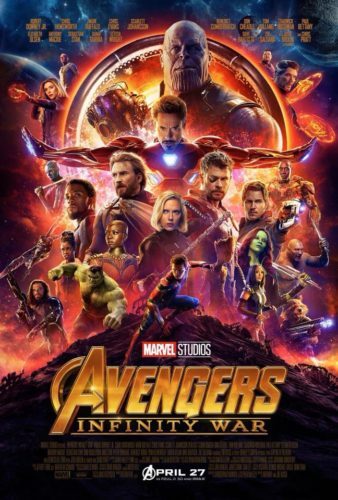 It only feels like a cast of thousands, and it will cost you a lot less to see this crossover of every Marvel character that Marvel Studios has brought to the screen than it would to buy the all the comics such a crossover would take. Even in this pulse-pounding trailer, we still have missing characters — that’s how big this is. It’s an impressive roster of some of Hollywood’s best actors (and in the case of Jon Favreau, one of its best directors) and looking back at casting announcements — we still have no sign of Peter Dinklage, but his name is on the poster. The Avengers incorporate every hero from Earth, and now the Guardians of the Galaxy. Some of the biggest egos in the Marvel Universe have come together to fight the ultimate evil. Let’s face it — as far as audiences are concerned, this might as well be the sequel to Black Panther instead of the third Avengers movie. It’s nice that T’Challa had room for Steve Rogers in this movie. Even though we knew it was coming, it’s chilling to see that for all intents and purposes, Thanos will succeed. He did in the comics, too, though somehow the world’s mightiest heroes battled their way back. Opening April 27th, 2018, Avengers: Infinity War may be almost overwhelming, a war truly more massive than even that other little franchise Disney owns, the one that takes place in the stars. As exciting as it is, I greet this with sadness because Marvel Studios head Kevin Feige has promised that the characters who die in this movie will stay dead. It makes sense. It’s okay. It is. But I’ll say again and again — Chris Evans embodies Captain America the way that Christopher Reeve embodied Superman, and if he’s one of those that goes, I will have a hard time with it. But check this out — if he goes, he’s going down fighting for not just America, but for Earth. And that’s damned inspiring. So be sure to take your kids. I really think Dettrick Maddox did a cooler take on the poster, though.